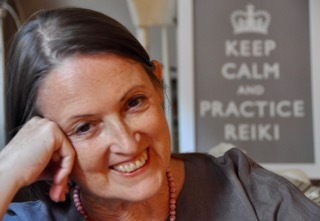 Many fine Reiki practitioners have trouble communicating the value of Reiki practice. Reiki is easy to practice, easy to appreciate, but hard to speak about credibly. You could be comfortable and confident talking about Reiki, speaking in a way that helps people want to actually experience Reiki, and trust you as a professional. Pamela Miles is a Reiki master and integrative health care consultant in New York City practicing Reiki since 1986, who has pioneered the integration of Reiki treatment into conventional medicine, and remains the foremost authority in the field. Pamela is the author of “REIKI: A Comprehensive Guide” and numerous peer-reviewed medical papers. Pamela has created Reiki programs in hospitals, collaborated on medical research, and presented or taught Reiki practice in medical schools, including Harvard and Yale. She is internationally recognized for her ability to express the practice with clarity and elegance.